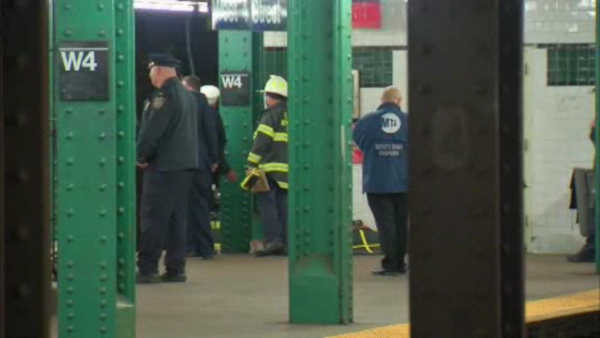 GREENWICH VILLAGE, Manhattan (WABC) -- Police say a man who was struck and killed on the subway tracks in Manhattan was apparently subway surfing. The man attached himself to a door frame on a southbound F train. He then fell off inside the tunnel near West 4th Street around 3 p.m. Saturday, police say. First responders evacuated approximately 500 people from the train following the incident.